Welcome to SitcomsOnline Digest! This is the last time we'll be here for 2016 (we'll be back for 2017, of course) with news of a Disney Channel sitcom that may (or may not) be cancelled, some opinion pieces on how DVD and Blu-ray are keeping classic TV alive, and more. Let's get going! The Netflix series Unbreakable Kimmy Schmidt returns to DVD on March 14 with Unbreakable Kimmy Schmidt - Season Two. 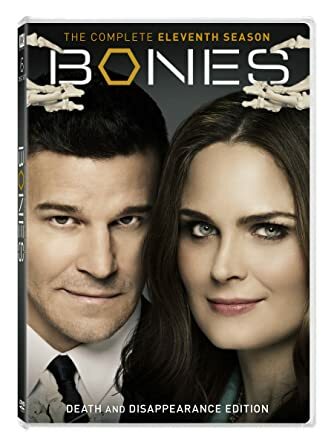 Bones - The Complete Eleventh Season (DVD, $39.98): As the long-running Fox series prepares for one final season (debuting Tuesday evening on the network), the most recently aired season comes to DVD for viewers to catch up. Who to Follow: Caitlin Barlow (Twitter), "I used to be a teacher in Chicago. Now I write, act in and produce Teachers on TVLand with The Katydids, where I pretend to be a teacher in Chicago. LIFE"
Claim to Fame: Caitlin Barlow has found her success in entertainment almost exclusively through Teachers, her TV Land series that she stars in. Originally a teacher herself in Chicago, she wasn't getting much satisfaction from the job and began working in improv and sketch theater. This ultimately led to becoming part of a comedy group called The Katydids, and with internet fame, one of their projects evolved into a TV Land comedy series, which will return for a second season on January 17.